The Colombian city of Medellín has undergone a remarkable transformation and is now a world-class example of urban innovation. Along with urban renewal comes a growth in tourism and a vision for destination marketing that seeks to shed the city’s previous, more violent image and show visitors the unique cultural experiences Medellín can offer. Medellín Convention and Visitors Bureau was represented at Destination Think! Forum 2016 in New York City, and we asked the Medellín team about their biggest challenges and opportunities, and for their perspective on trends in South American tourism. In this guest post, CEO Ana María Gallego offers her responses and insights into the city’s tourism growth. To talk about destination marketing challenges is to talk about Medellín, a city that has gone from being rated as the world’s most violent to the world’s most innovative. Just over a decade ago, the city was mostly known for its negative stories, but today, Medellín is open to the world as a differentiated destination that offers unique experiences. Addressing our challenges has not been easy. Although this city has transformed itself by leading social innovation strategies and by consolidating tourism supply for travellers looking for non-traditional experiences, its image abroad has not changed at the same pace. For example, how can Medellín overcome the global media imprint left by the Narcos television series that continues to recall the past it wants to leave behind? On the other hand, the tourism promotion strategy of Medellín is progressing by leaps and bounds. The results speak for themselves: Last year, the influx of foreign tourists in Medellín grew eight times above the world average (34% vs. 5%). However, positioning the city positively in travellers’ minds as a tourism destination while distancing itself from the past remains a big challenge to overcome. How can we market our destination to replace the negative stereotypes associated with Medellín with new, positive attributes? This is not the only challenge we face. 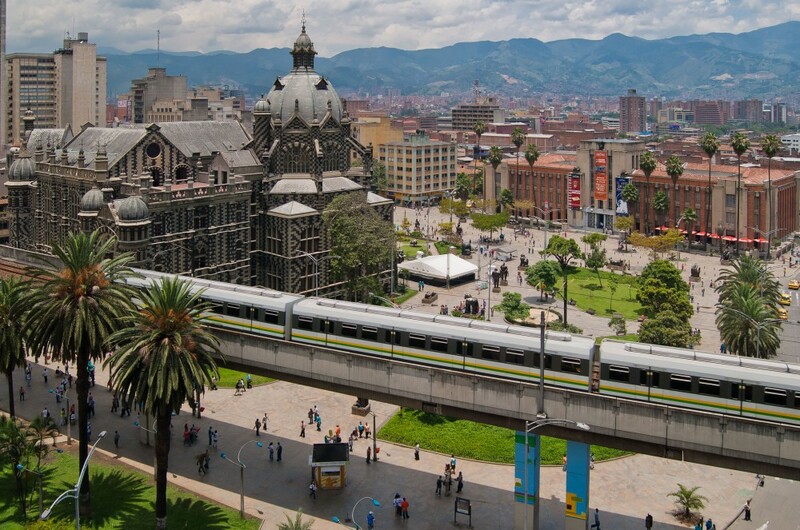 Medellín has a long way to go and its destination marketing needs to make an extra effort due to the city’s geographical and political-administrative features. Medellín is not a sun and beach destination, nor is it the capital of the country. In terms of traveller arrivals, Medellín ranks third in Colombia (after its capital, Bogota, and Cartagena, renowned for its beaches and its historical centre). Finding our destination’s own vocation, developing a particular way to communicate with travellers, and persuading them to live different experiences from those of the major destinations around the world are real challenges for Medellín and all the cities that do not have an inherent attraction for travellers. The foundation of our destination marketing is to understand that Medellín has a unique offering that should not be compared with European cities or modern North American destinations. Although this region of the continent has a great diversity of tourism, its destination marketing reveals some similar trends. One common element is that today’s tourists are talking about experiences. For many South American countries, it’s already clear that the modern traveler no longer simply looks for tourist sites, but instead looks for experiences that are generated around that site. For example, a meal isn’t only about the restaurant, it’s about a gastronomic experience that exalts the cultural elements. A visit to a park is about more than being there, it’s about exploring and learning about the historical figures that gave it life. Similarly, buying the local handicrafts is about getting to know the craftsman’s workshop and learning from him about how he gives life to art. In addition to offering tourists the possibility of living in the destination as residents do, South America is increasingly aware of the diversity of travellers. While there is a large number of people seeking to relax at paradisiacal beaches, there is also a growing market that wants to discover the things that make the destination unique and come into contact with experiences that create unique moments in their chosen trip. Medellín has learned how to strengthen itself with its own unique offerings: the culture found in “silletas” (wooden structures full of flowers that people in rural areas carry on their backs); the “City of Botero” concept, created around the artist Fernando Botero; and the tour through the transformation process of Medellín. These experiences can only be lived in this city. Other noteworthy trends include changing tourism experiences for low-budget travellers (or “backpackers”), the use of 3D virtual reality (VR) simulations to promote destinations at major international tourism fairs, and of course, the strong growth of digital marketing. This enables us to reach massive and distant audiences, in real time and with a low budget through social networks like Instagram Stories and Facebook Live. There is a common theme in the tourism sector that also affects all fields related to the development of cities: how can we achieve a greater impact with increasingly limited resources? For a city like Medellín where public money is the main source of funding, it is necessary to design strategies that reach more unexplored markets, to continue the strategies in emerging markets and to maintain the stable markets. The number of travellers in the world is gradually growing as people treasure experiences more than material goods. But how can Medellín be included in the list of destinations travellers desire, while competing with large international organizations and advertising agencies that have substantial resources? This problem goes beyond investment in advertising. We also need information to determine the visitation trends happening in our destination, which includes the types of travellers who visit, their consumption patterns and research into potential markets. These subjects require large research budgets that are not always available. The answers will come from finding new strategies, using technology, and building partnerships between regions. Therein lies the greatest challenge. Gain more valuable insights from speakers, panelists and participants from Destination Think! Forum, where the world’s leading destination marketers gathered to address their greatest challenges. Read interviews with Forum’s Leading Thinkers. « Will Google Trips disrupt the visitor centre as we know it? I think the success of Narcos should serve as a catalyst for destination awareness. It’s probably a troubling part of the history of the place but people travel to places of great conflict of the past everywhere in the world. There’s a fascination with visiting places of historical significance, especially if there’s an association with something like a movie or TV show. Just ask Ireland (Game of Thrones), New Zealand (Lord of the Rings), etc.